Canine Academy (9270 Main Street) are putting their best feet (or paws?) forward in assisting an important national charity. 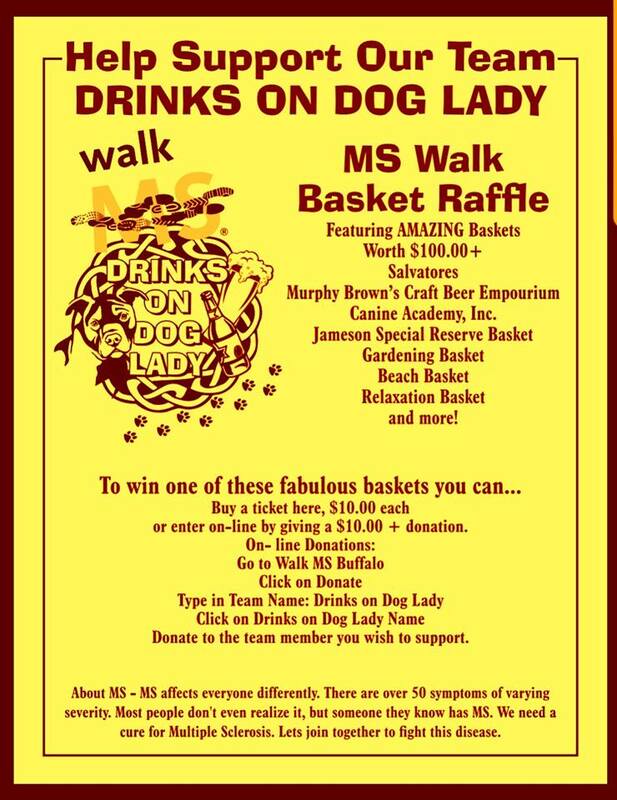 The dog training business has formed a team called “Drinks on Dog Lady” for the upcoming Walk MS: Buffalo 2017. In preparation for the May event at Canalside in Buffalo, the team is raising funds to support the fight against multiple sclerosis. 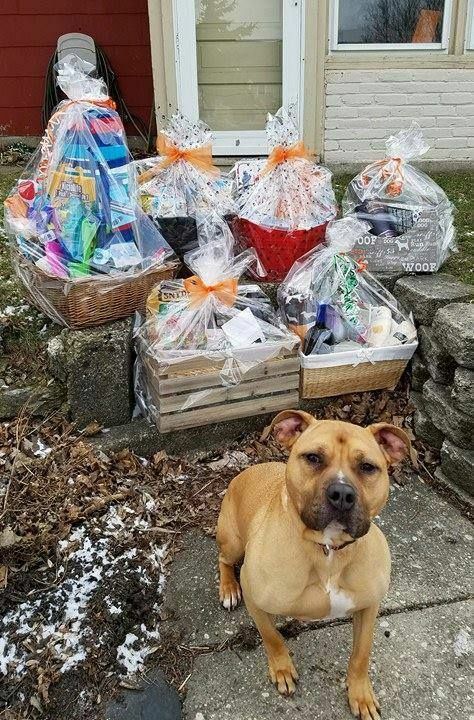 The team is currently hosting a basket raffle that features multiple baskets, including a beach basket, gardening basket and a relaxation basket. Some eye-catching baskets from local merchants, such as Salvatore’s, Murphy Brown’s Craft Beer Emporium, Canine Academy and more. This is a great way to help donate to a non-profit…and maybe win something cool. $10 raffle tickets can be purchases at Canine Academy (9270 Main Street), Murphy Brown’s Craft Beer Emporium (9500 Main Street) or online here!